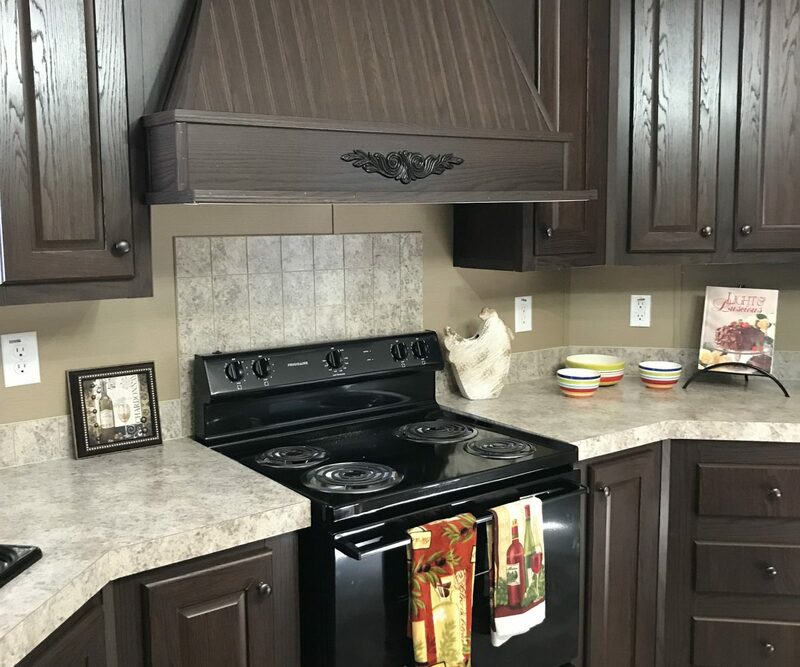 This 2018 River Birch home has a gorgeously appointed, bright and spacious kitchen, dining, and living areas, as well as 2 designer bathrooms. 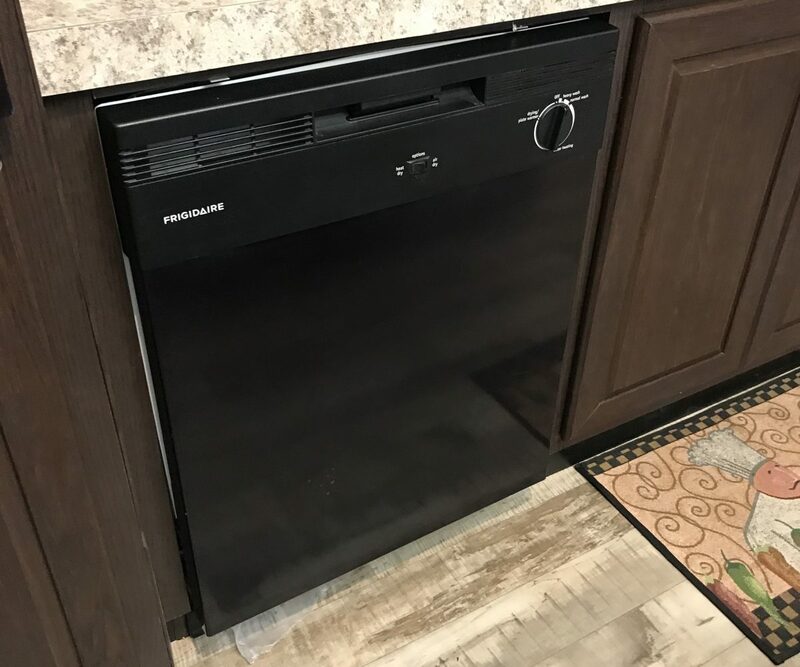 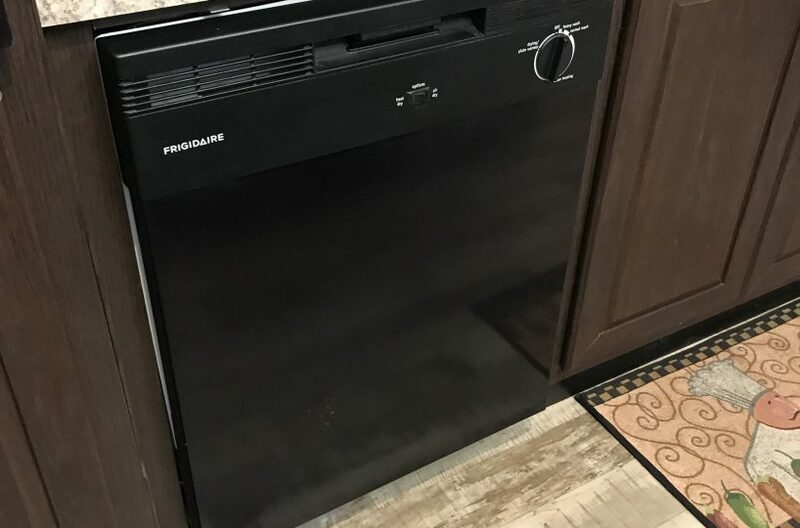 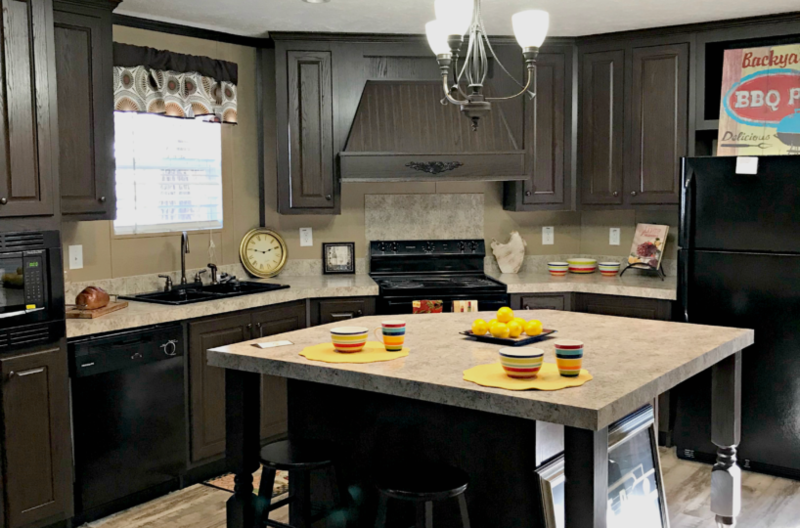 The kitchen, with ample cabinets, a designer wood hood and an big island, is just waiting for someone to prepare delicious meals using the provided refrigerator, microwave, electric stove, black double sink, and dishwasher. 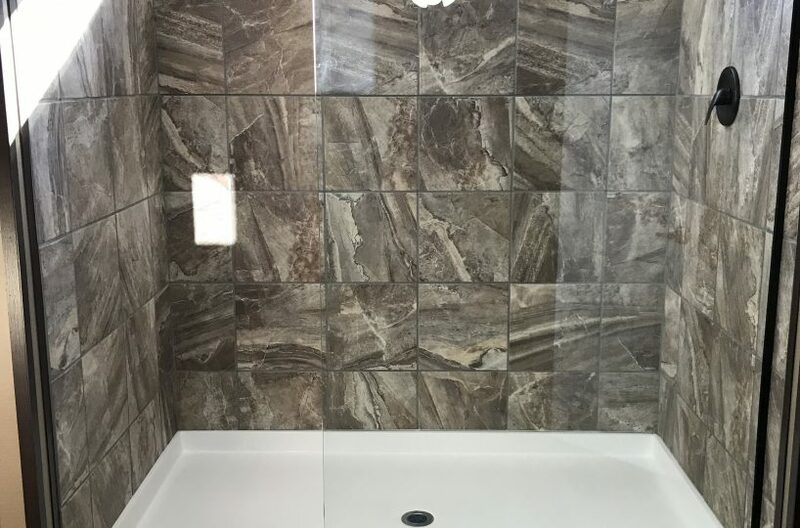 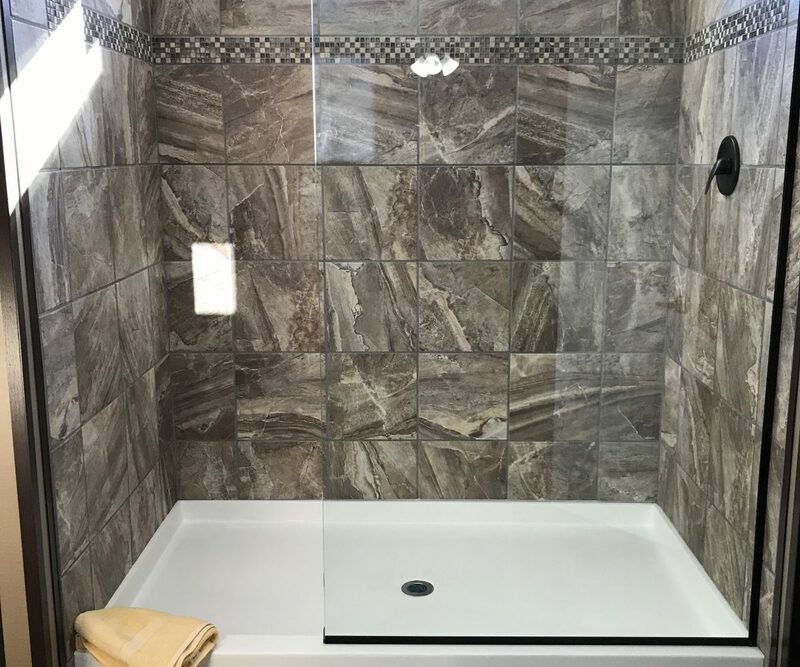 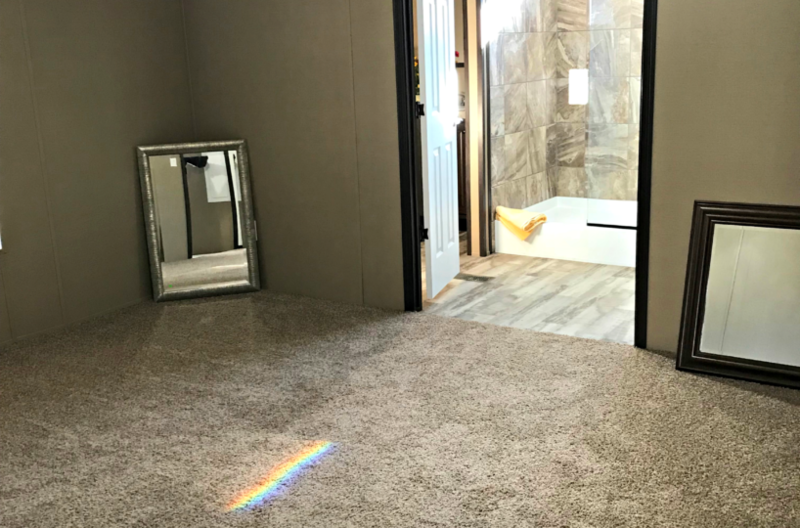 The Master Bedroom features a walk-in closet and a beautiful bathroom with a luxurious all tiled shower and two vanities with storage. 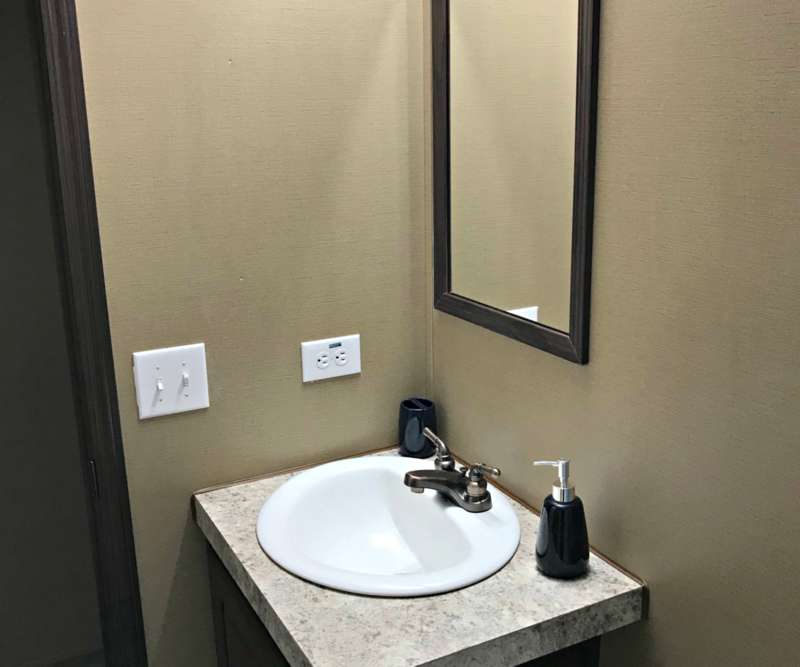 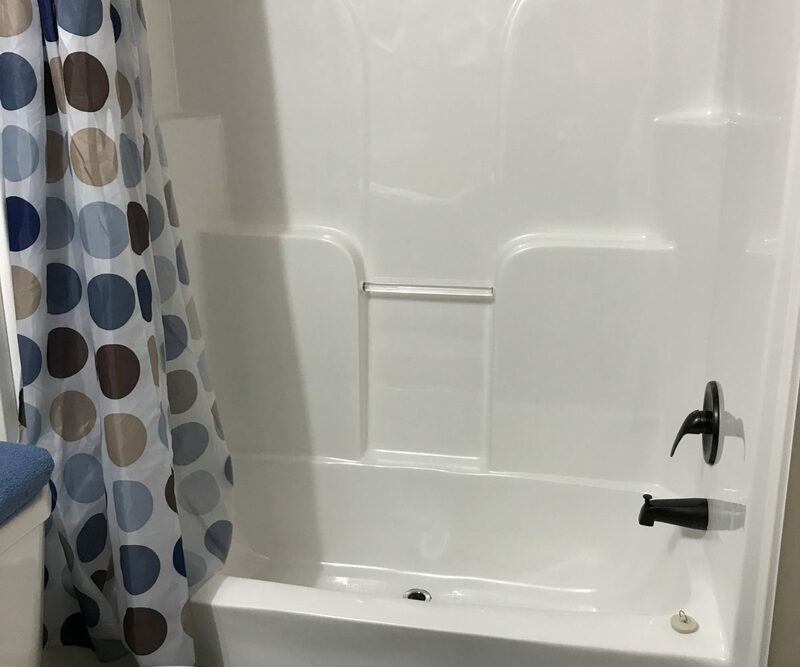 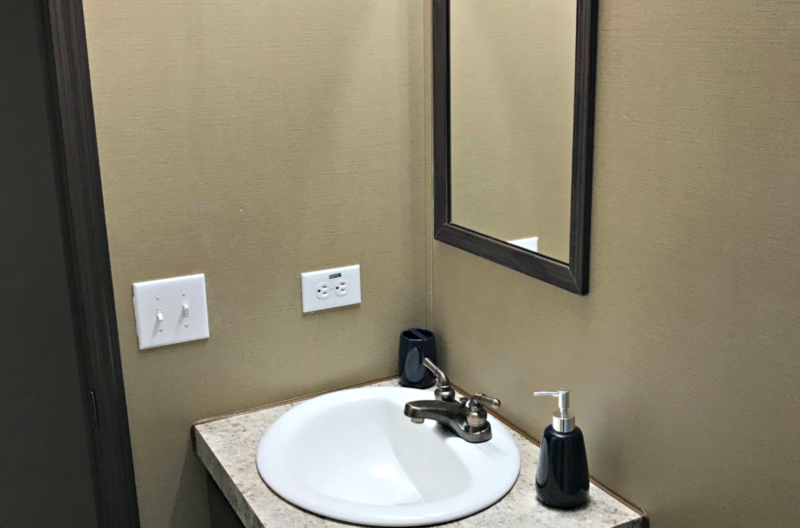 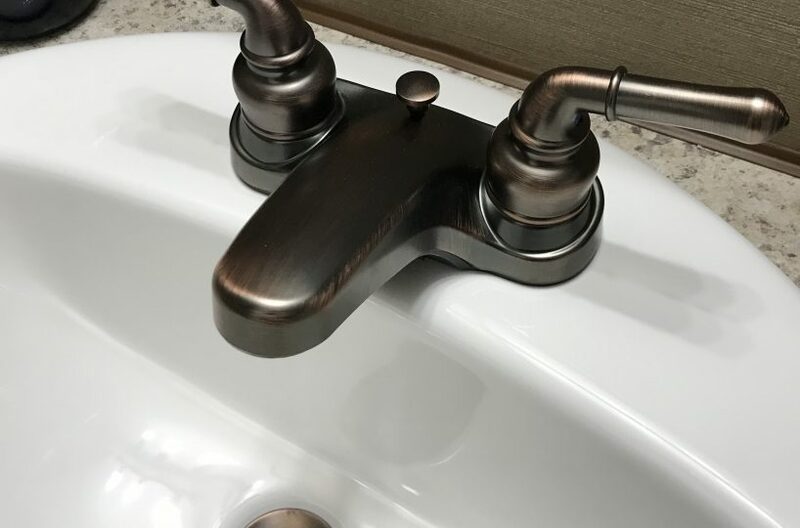 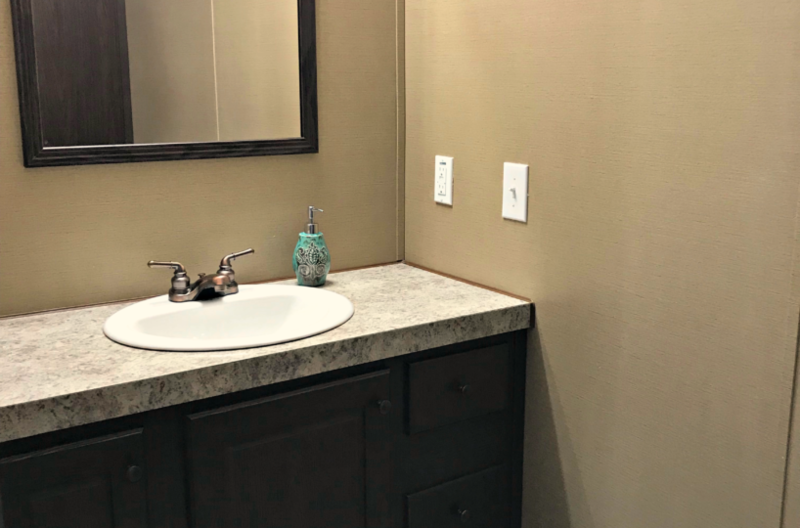 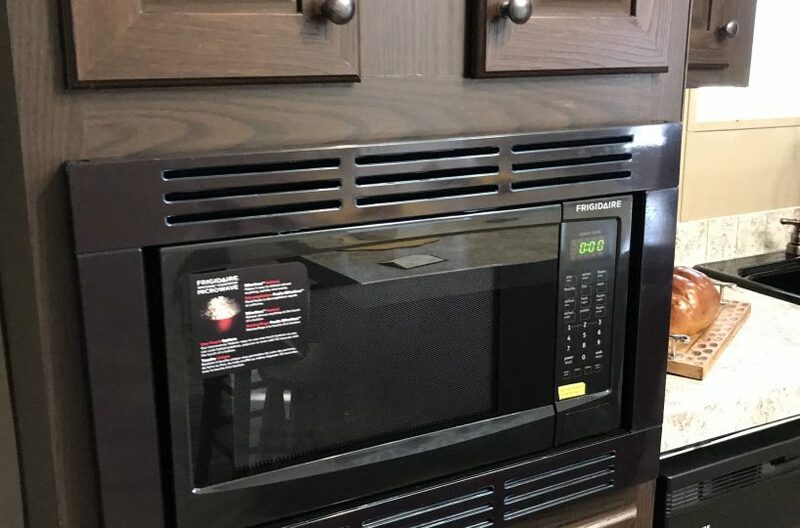 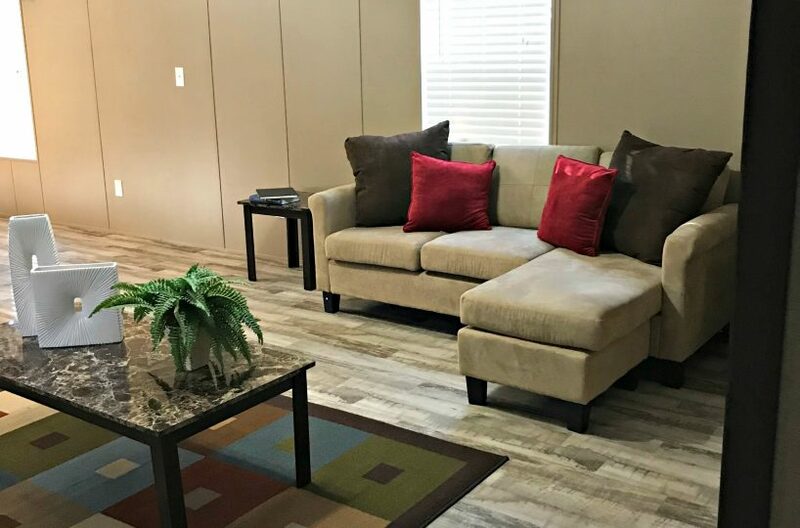 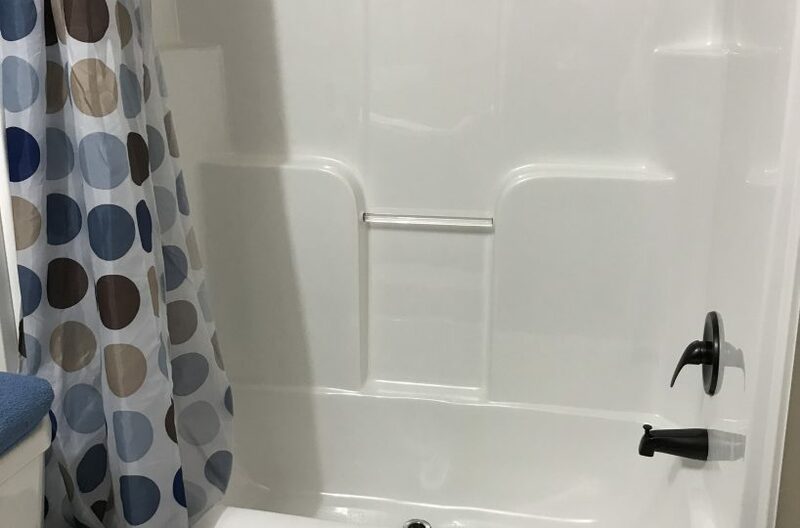 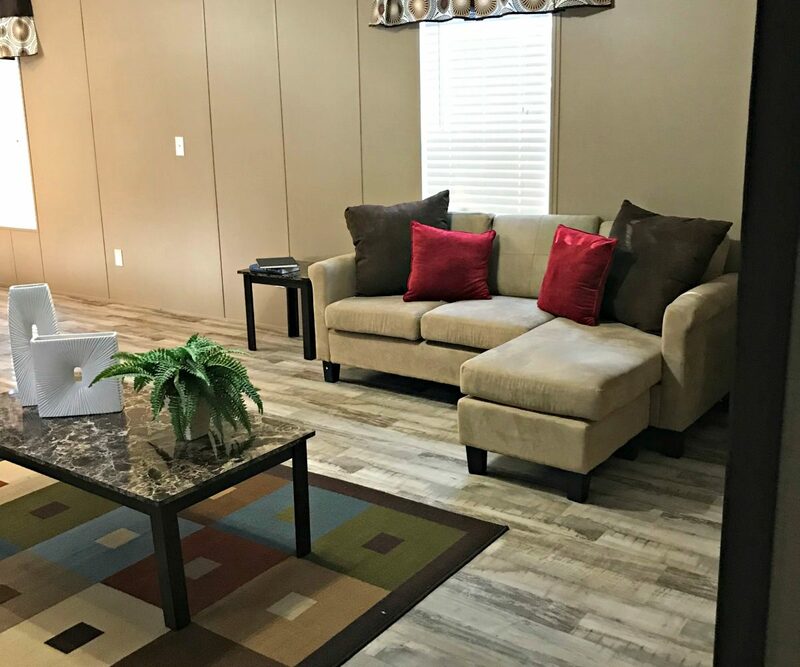 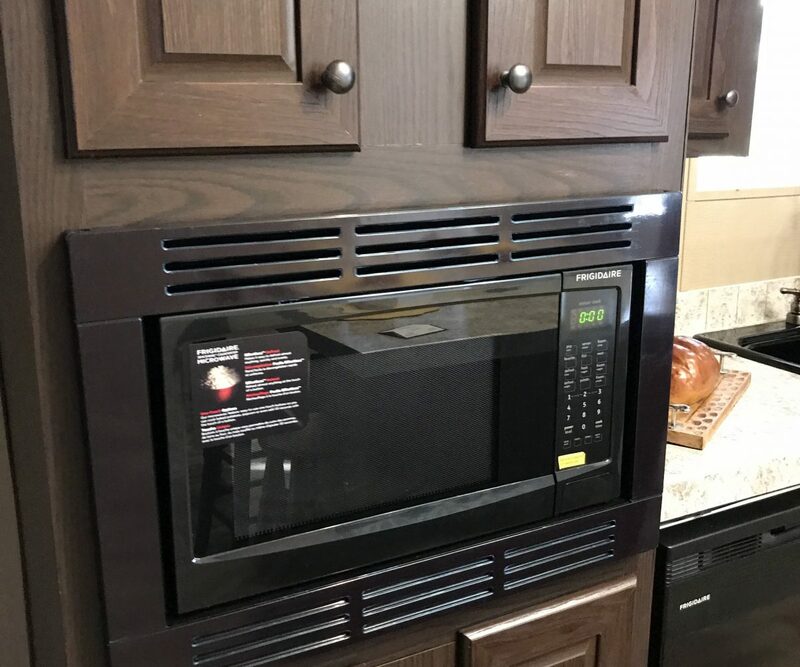 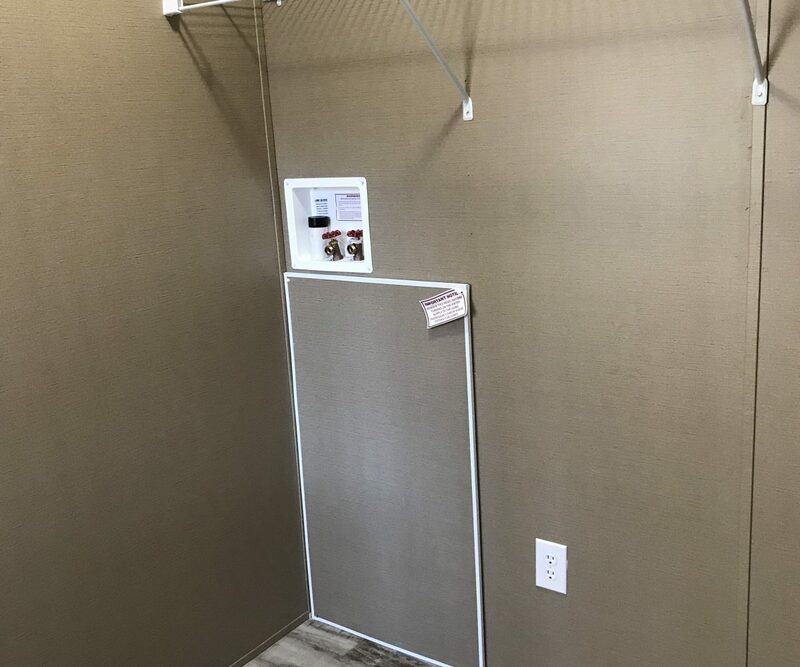 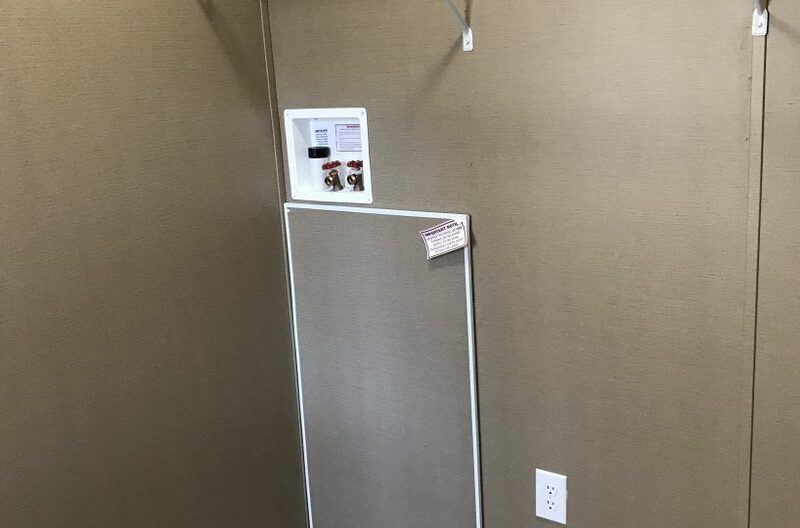 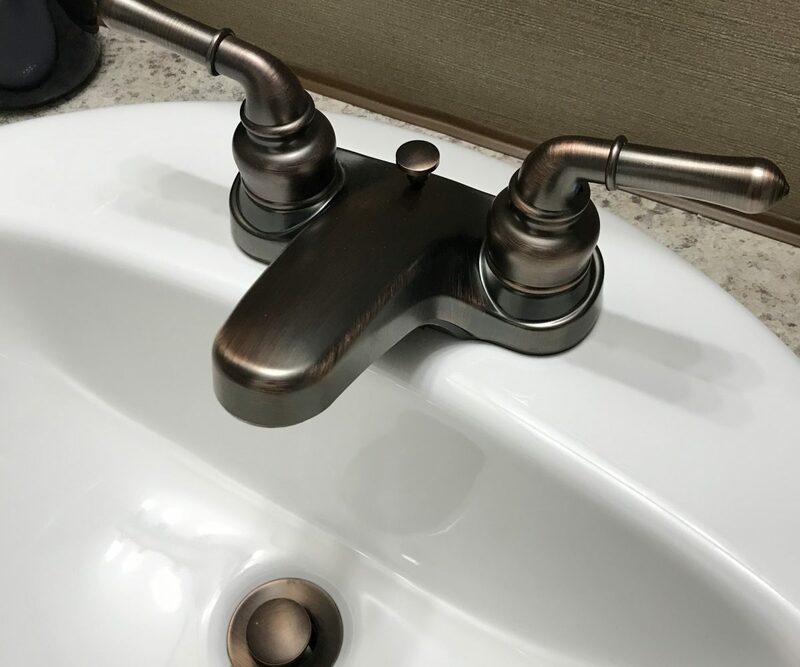 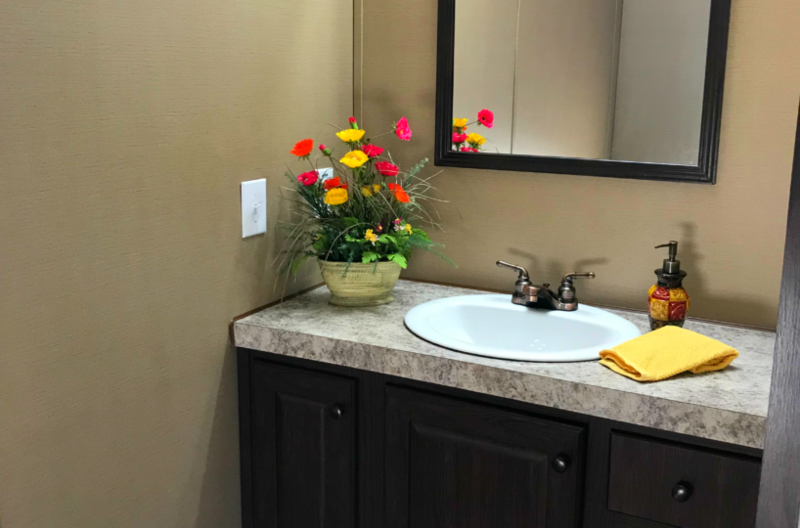 This home also offers the comfort and convenience provided by ceiling fans, storm windows, central HVAC, and an utility room with washer/dryer connections. 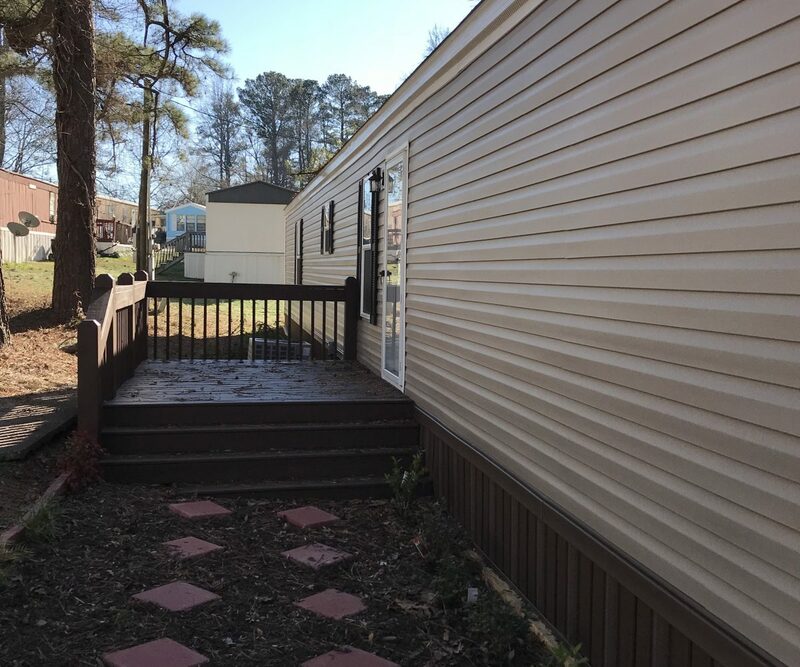 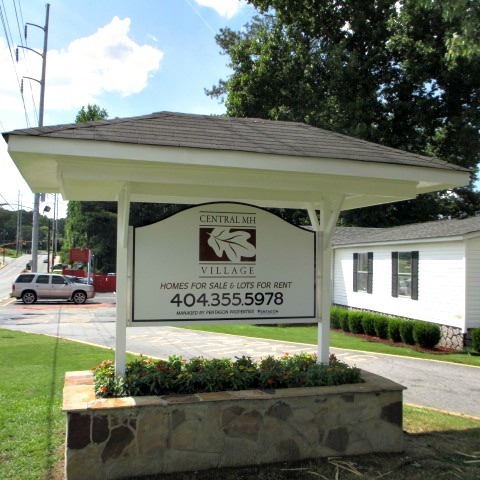 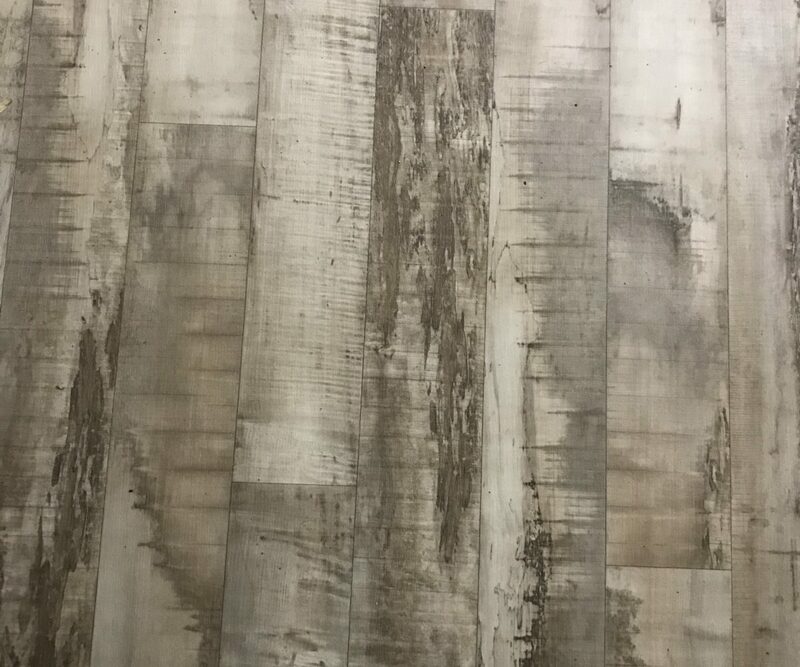 Take a look outdoors – a 8’ x 10’ front deck looks out to a large, shaded lot with parking pad, and there is also a 4′ X 8′ rear deck by the back door . 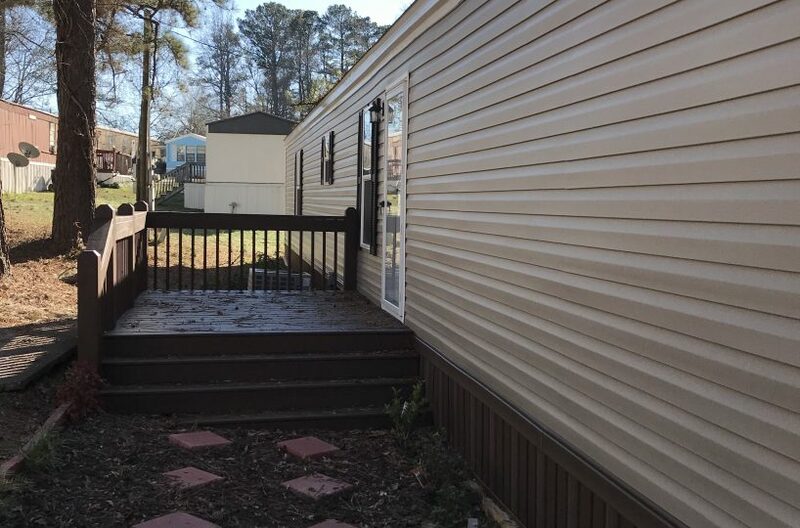 With a lanscaped front path and an upgraded skirting installed, this home has beautiful curb appeal and is waiting for someone…perhaps you…to move in! 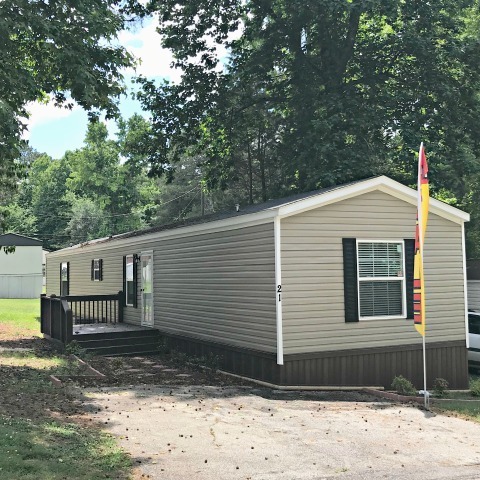 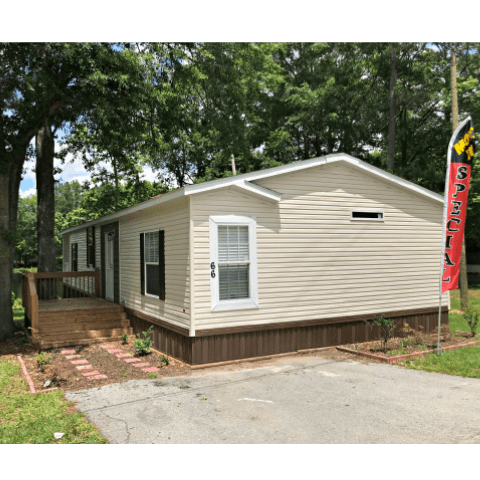 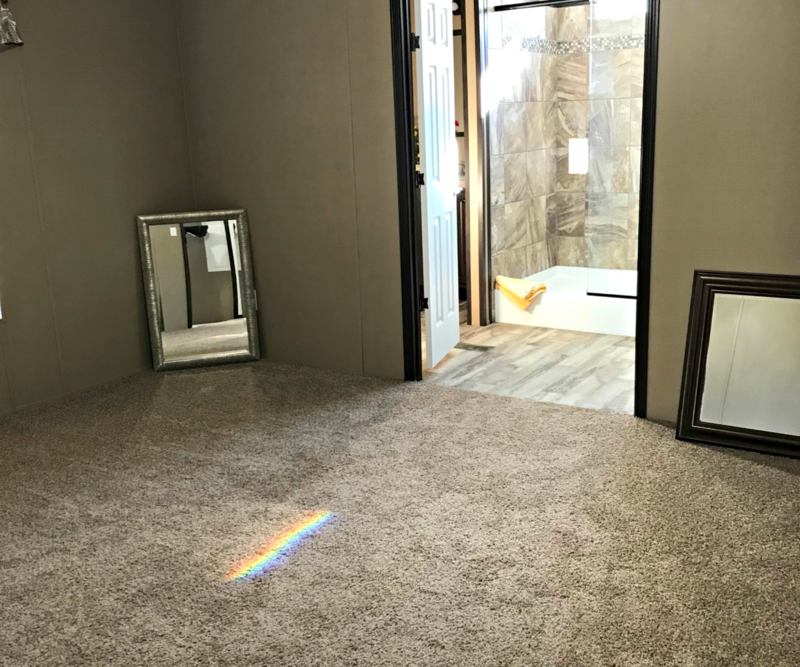 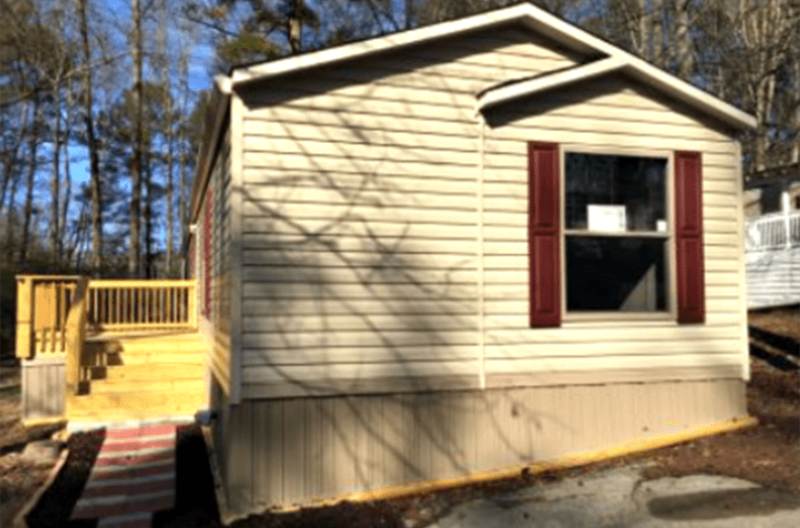 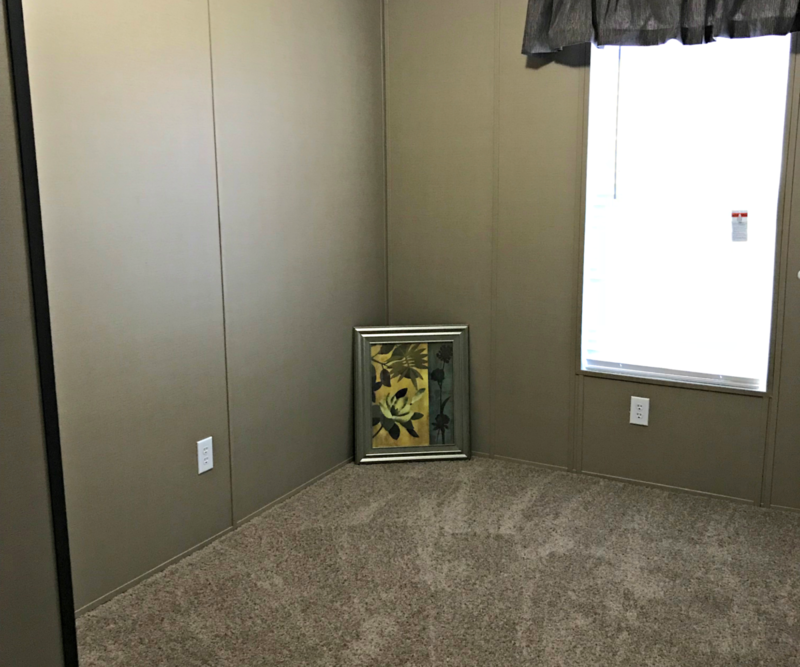 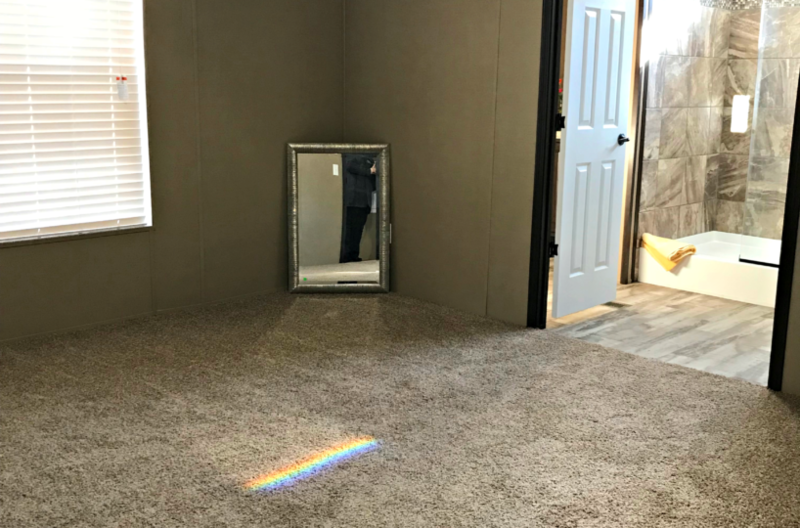 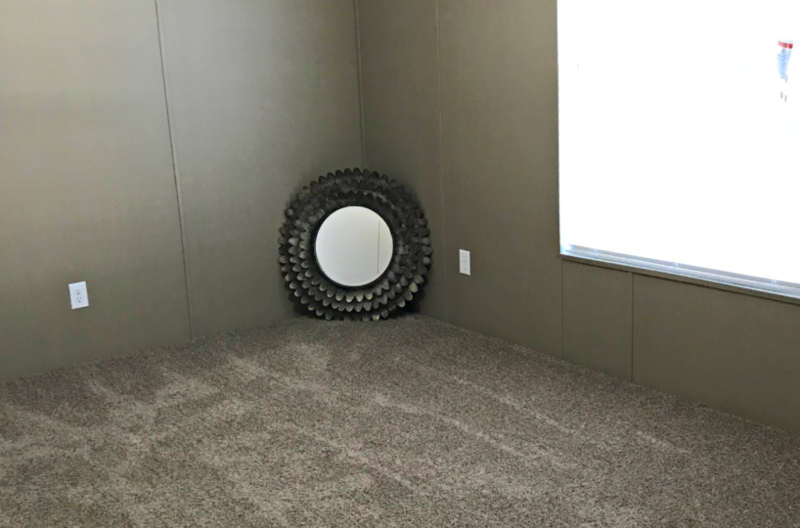 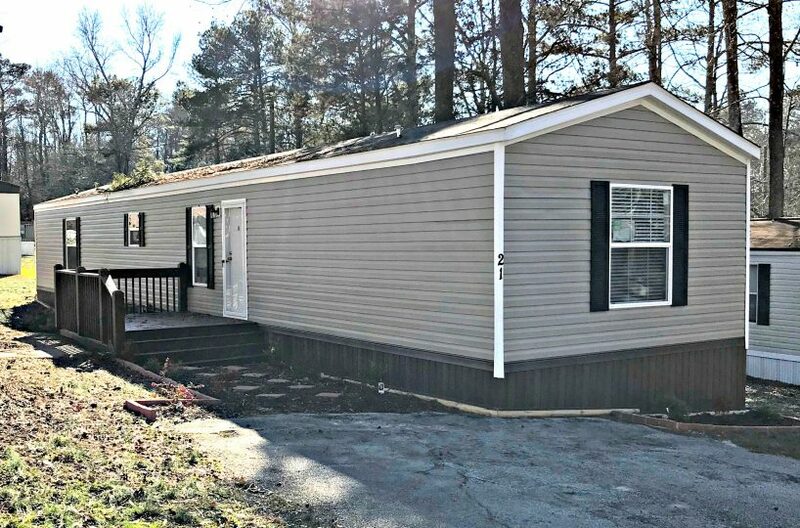 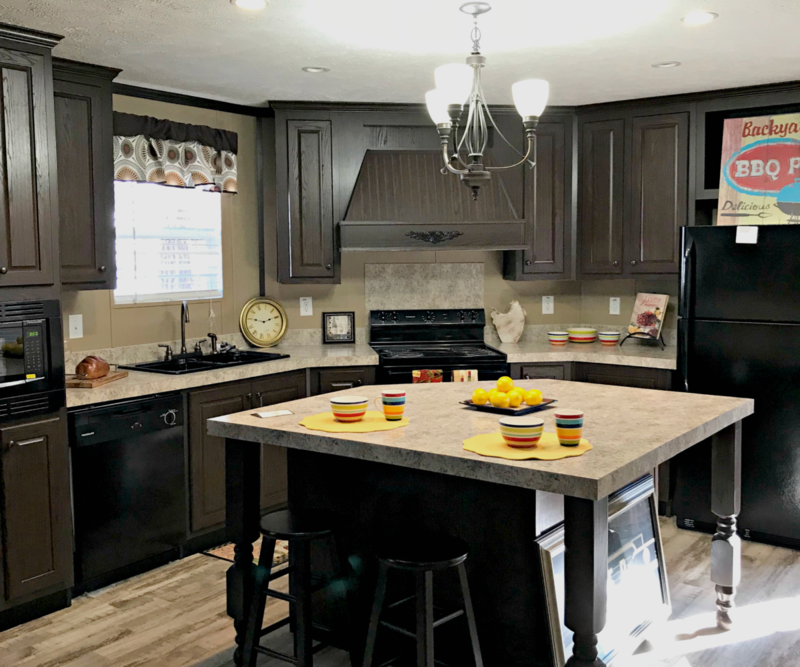 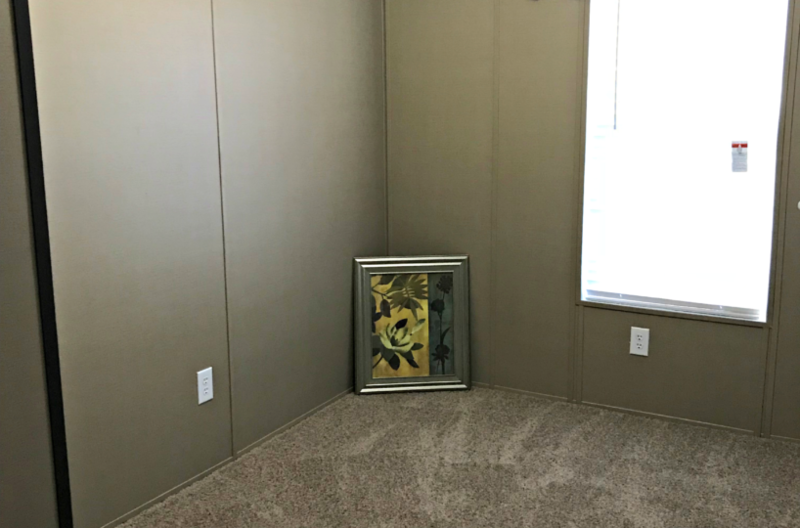 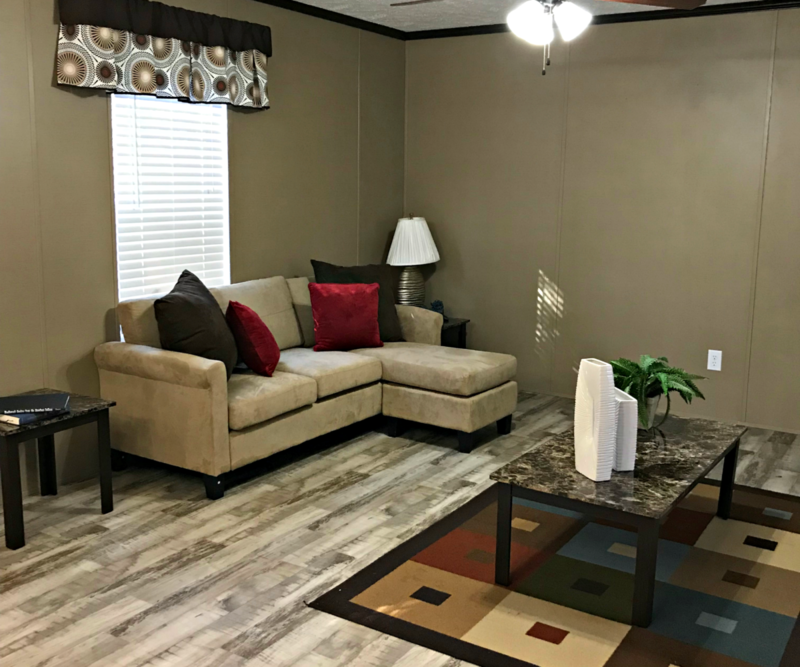 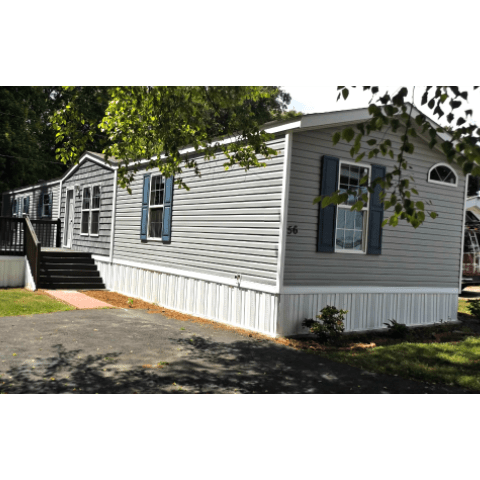 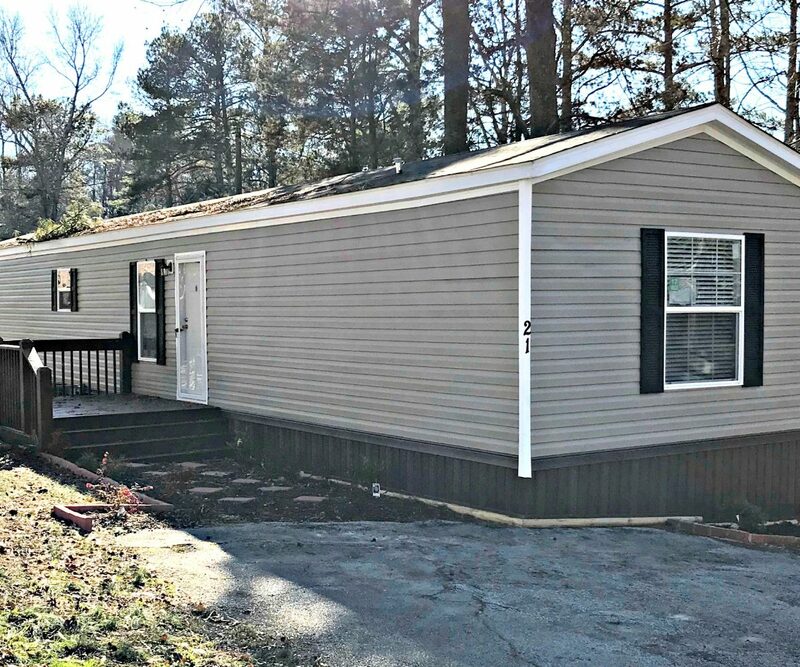 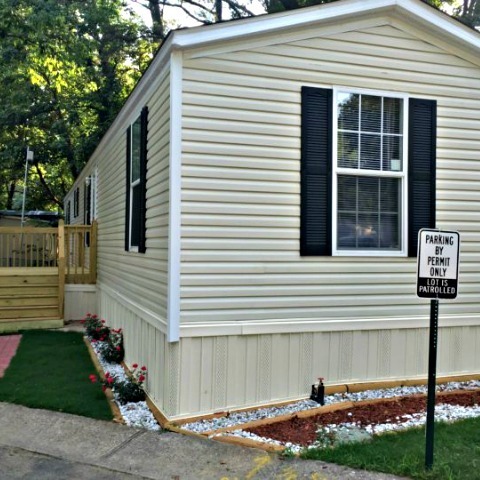 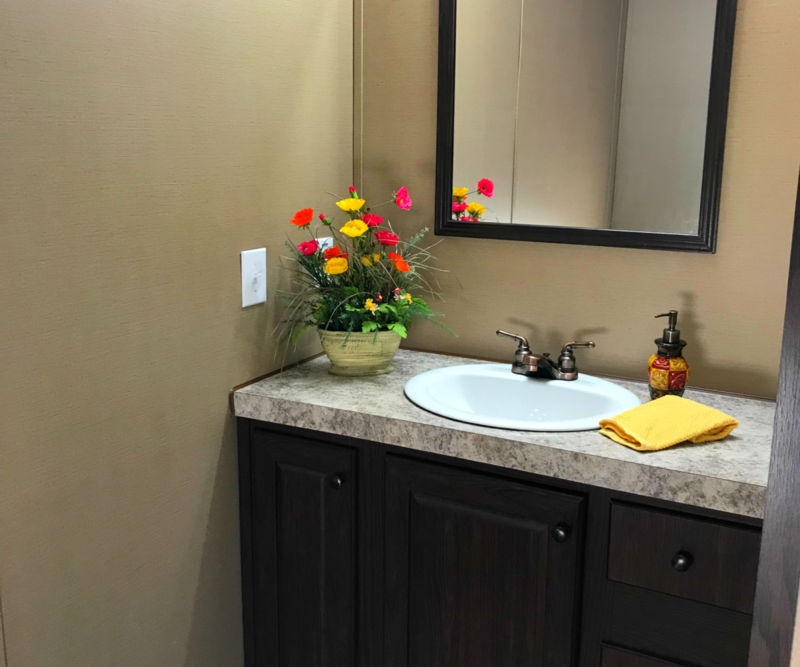 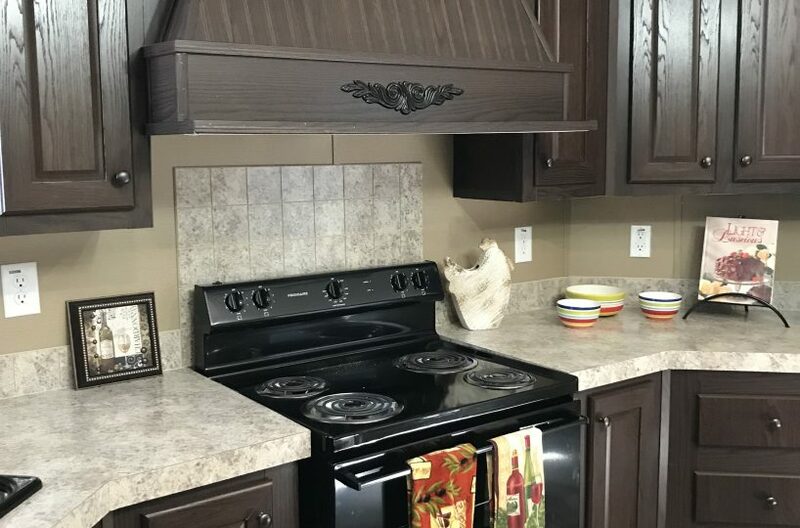 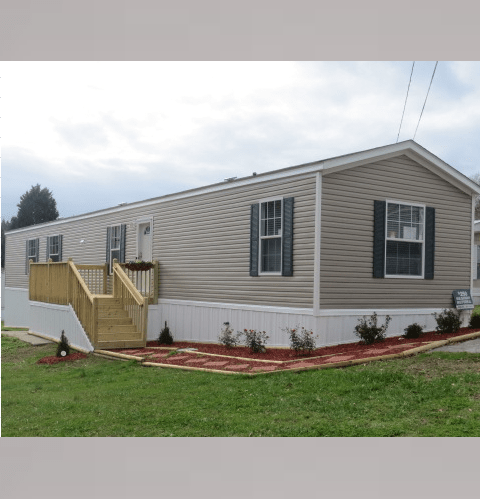 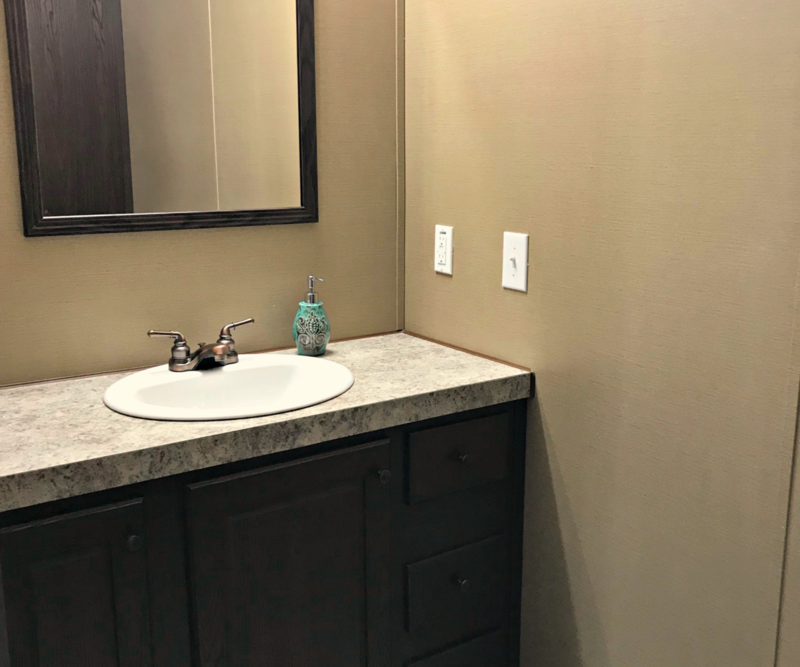 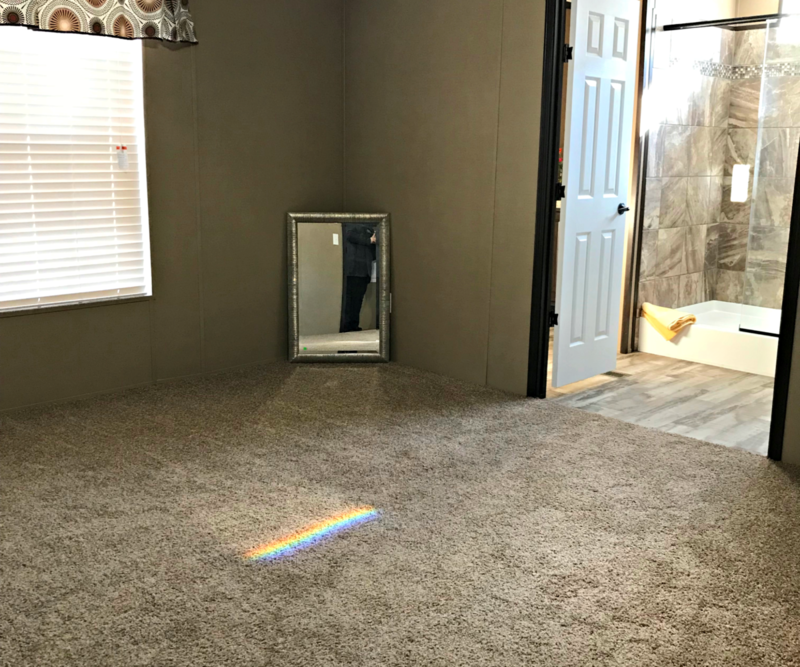 This spectacular manufactured home could be yours with a down payment of $5,000 and monthly payments of $520 or less (plus lot rent/utilities) in 13 years. 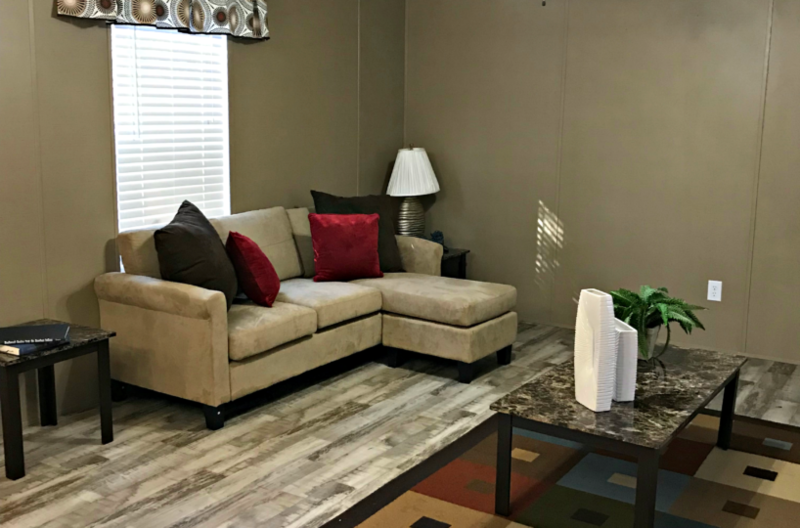 We will be happy to discuss our different Lease-Option alternatives with you and go over our convenient no-cost 5-minute seller-finance Pre-Qualification Worksheet.